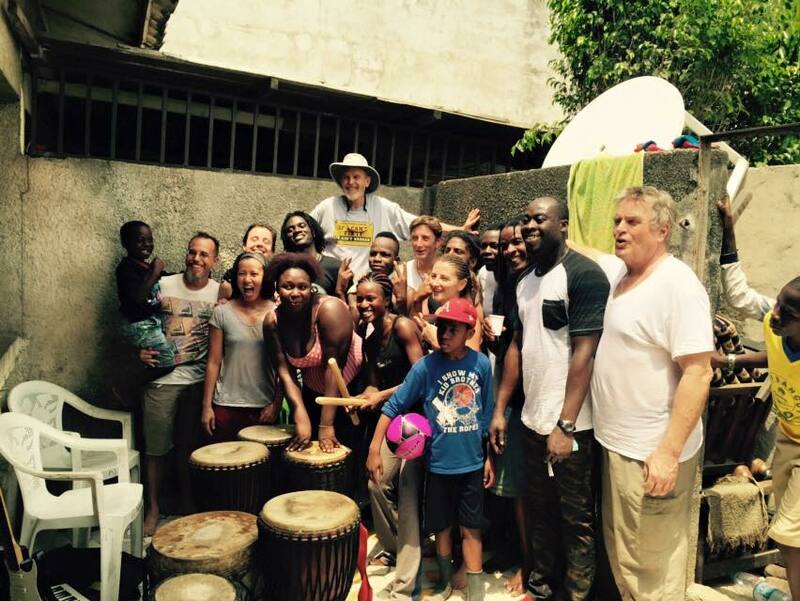 African Drum and Dance class in Abidjan, the capital of Ivory Coast. In 2016 we traveled to Ivory Coast in West Africa. In 2020 we plan to travel to Senegal to stay in a seaside neighborhood of Dakar, to take dance and drum lessons on the beach. We also plan to visit sites of historical interest, such as the sobering Gorée Island, the last African soil on which stood those who were shipped out to slavery. We will visit national parks. All inclusive: plane ticket, ground travel, food, accommodations. It does not include include all the presents you bring back for yourself or your friends. Angelo designs and coordinates annual cultural tours to various countries in West Africa. You do not have to be a dancer or drummer to participate. All are welcome. These offer a unique opportunity to study with master African drummers and dancers, who are star performers on the local and international scene. Travelers stay in private rental accommodation, in “real” neighborhoods, dining on local cuisine and enjoying unique contact with neighbors, children, and artisans. Segments in both countries included local performances and lessons by major drum and dance artists. Trip duration is from two weeks to one month, depending on participants’ availability. Bookings are made in October, for the following January or February when the weather is most favorable in Africa. Specific activities are designed to fit the group’s interests. For more information, contact Angelo (479) 244-5425 or Shakeenah at (479) 283-9964.